On Friday last, the Guyana Court of Appeal ruled that the opposition motion of no-confidence was not validly carried in the National Assembly, as it fell one vote short of the requisite absolute majority. By a majority decision, the Court of Appeal set aside the ruling of the lower court, and restored the status quo of legitimacy to the APNU+AFC Coalition Government, which was popularly elected for a five-year term on May 11, 2015. In allowing the appeal, the superior court has put on pause the proverbial political clock that was ticking. This decision has also reduced into a fiction the notion that the President and his Cabinet have been “resigned.” There is no longer any need for the National Assembly to extend the so-called drop-dead period beyond 90 days within which fresh elections should be held. Theoretically, the next elections could be held at the expiration the five-year term of the present government. The constitutional due date has been reinstated, because the motion of no-confidence against the government has fallen! Over the past four months, our people have been treated to a triple dose of drama-filled Fridays. It was on Friday, December 21, 2018, that the motion which ostensibly removed the government was wrongly deemed to have been carried. However, the Speaker of the National Assembly was in doubt over whether the constitutional threshold was met, which triggered the judicial reviews. Then on Friday, February 1, 2019, Chief Justice Roxane George-Wiltshire upheld the ruling of the Speaker which, in effect, “resigned” the President and his Cabinet. Now, on Friday, March 22, 2019, the Court of Appeal upheld an appeal that challenged the validity of that vote. The majority decision was delivered by Chancellor of the Judiciary (ag), Yonette Cummings-Edwards and Justice Dawn Gregory. A third judge, Justice Rishi Persaud, gave a dissenting decision. The beauty of all of this from a layperson’s view is that in our vibrant democratic system, the higher courts could review, modify, affirm or reverse decisions of the lower courts. The decision of the Court of Appeal turned on the critical issue as to whether 33 or 34 votes constitute an absolute majority of all of the 65 members of the National Assembly. Applying the principle for an absolute majority in an odd-number House, which is one half, rounded up to the next higher number plus one, the Court of Appeal concluded that 34 votes were needed to satisfy the requirement of the Constitution for passage of the no-confidence motion. The motion having not been passed, the coalition remains intact as the legal or de jure government of Guyana. The decision of the Guyana Court of Appeal has showcased once more that Guyana’s democracy is alive. The unwritten doctrine of the Separation of Powers or “trias politica” that guarantees the independence of the three branches of the State, has been consolidated. These events cannot be seen as a funny, three-card game. They have tested the fabric of our democracy and the integrity and efficacy of our major state institutions. Our people, the demos of our democracy, must feel secure in the fact that the judiciary could uphold their fundamental right to freely choose their government at periodic elections, and also protect that government from calculated and capricious attempts at removing it. The decision of the Court of Appeal has given Guyanese renewed faith in our democratic institutions, and they should carry on with their lives peacefully in full knowledge that all political matters, however complex, could be settled within the context of constitutionality, and under the Rule of Law. 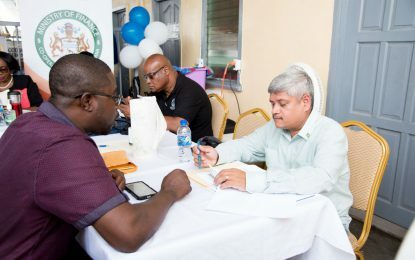 Guyana is also a part of the comity of democratic nations, and there are other countries and organisations that are critically observing how we do what we do, and have invariably offered assistance to build our capacity and to strengthen our institutions. The Carter Center is one of those helpful bodies with which I have been familiar since 1990. I do not share the intemperate view that the Carter Center is a front for “imperialist crusaders.” This is not a government view. My own experience shows how important it is to have support for just causes from other jurisdictions. In 1989, I was invited to Washington by the US State Department where I met Sally Cowal, the then Assistant Secretary of State. She informed me that the then Republican government headed by President George Bush Snr would support “free, fair, transparent and credible elections” in Guyana. At the time, five American Senators, including Senator John Kerry, had put forward a resolution to support free and fair elections in Guyana. In the context of what was happening in Guyana at the time, I didn’t see that as “imperialist” interference. The Carter Center was instrumental in helping to restore electoral democracy in Guyana. Its formula for the composition of the Elections Commission (GECOM) was intended to build bi-partisan cooperation and consensus. Except for administrative hiccups at the 1997 polls, GECOM has delivered credible elections between 1992 and 2018. Now, it appears that bi-partisanism has been fractured by opposition-engineered ethno-political polarisation. Apart from transparent elections, Guyana stands tall in other areas of democratic governance, which include the expansion of our plural media and the promotion of press freedom. There is no evidence of state suppression of the media. Strange but true, it is the opposition that has unleashed a bellicose campaign against media and journalists. It is a paradox that journalists have chosen to boycott a news conference by the opposition leader who, as President, had condemned journalists as carrions and vultures. Moving forward, while Guyana has to maintain an open-door policy, it has to do so on the basis of the principle of non-interference in internal affairs, and mutual respect. In the final analysis, the Guyanese people would define and defend our democracy. The Court of Appeal has done what in its own judgment, was the correct thing to do, that is, to invalidate the vote of no-confidence. It is now up to our people to salvage the damage caused by that reckless opposition misadventure. They have to vest renewed confidence in their government and its leadership. 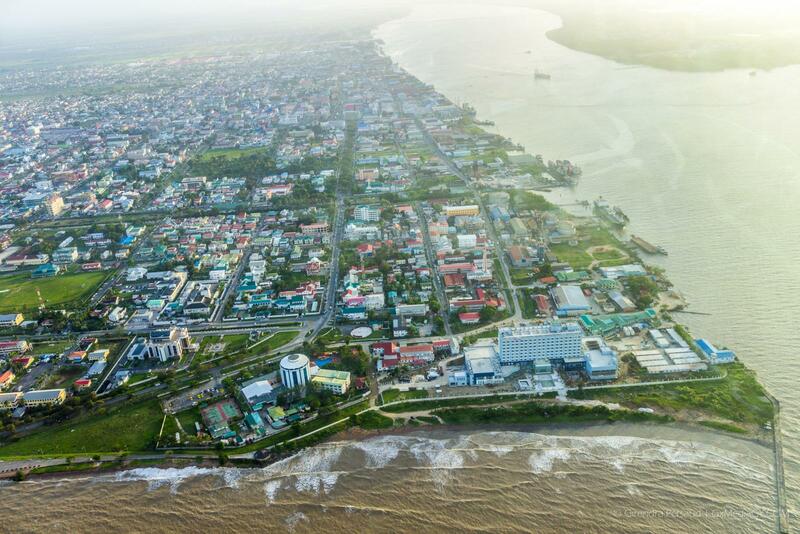 We have come too close to losing what in my opinion is Guyana’s best possible government, notwithstanding some guffaws, at a time of transition from a near failed, corrupt, narco-state to a clean, orderly and progressive society. We should be on guard, however, as there would be attempts at provocation and sabotage in the wake of the disposal of the failed no-confidence motion. There would be boycotts, non-cooperation, mock marches, and a “hurricane of protests”, and perhaps industrial strife and strikes. Our government must keep the peace, even though the opposition may choose to close the door of engagement and lock itself out from the constructive political process. Guyanese must remain vigilant against other back-door attempts at seizure of state power.